What does it really cost to start (and run) a blog in the first year? My blog isn’t quite a year old yet, but for tax purposes I need to figure out exactly what was spent in 2016. When I decided to blog, I never dreamed that what I spent would matter at tax time less than a year later. As you can imagine, there has been some going through of old mastercard bills. It’s been painful and tedious. 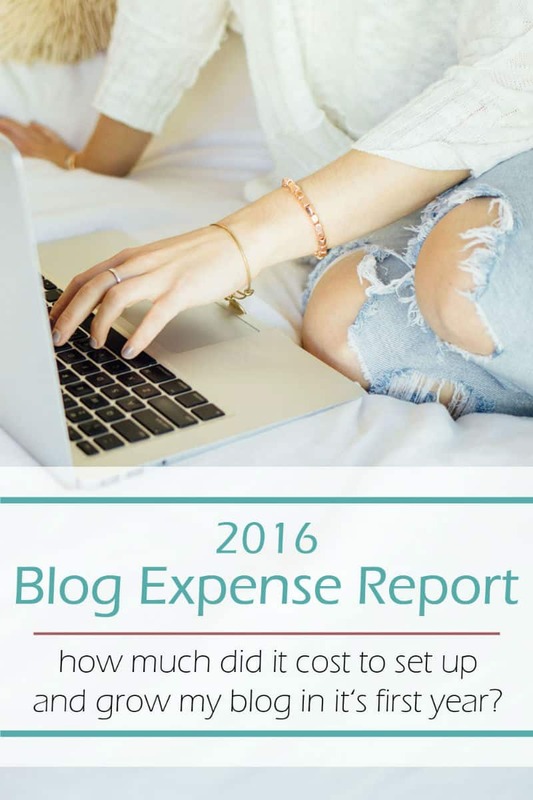 No matter what you DO spend on your blog, track your expenses. Do it. At the end of last February, I was researching how to blog on Pinterest. And I landed on this post with a little timer counting down in it. Some blogging course that was only open once per year was available now and going away in less than 24 hours. The thought hadn’t crossed my mind that I should be thinking about spending money to start this blog. I wanted to do it for free. 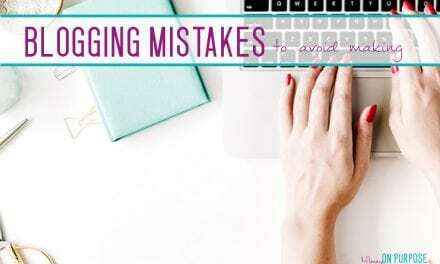 But never the less, there was a timer, and there was a course and I couldn’t find any other blogging specific courses that promised to be as comprehensive as this one promised to be. So I had to decide fast. 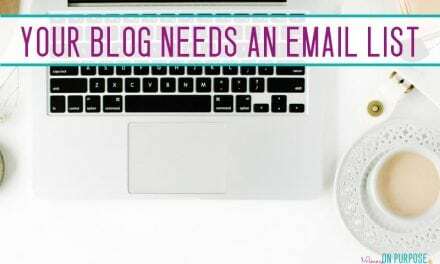 I had only been thinking seriously about blogging for a few days, but I was pretty sure that I REALLY wanted to do it. I didn’t really notice, then, the complete lack of blog expense reports available. No one else was talking about what they REALLY spent to set up their blogs – or to run them on a daily basis. Just as income reports are an invaluable learning too, so – I believe – would be expense reports. So I’ve decided to share mine with you for the first year of my blog’s life. I’ll detail here exactly what this blog cost me in year 1, why I chose to spend on that particular thing, and if it was worth it or not. UPDATE: I have decided that I will no longer share new income reports on the blog for 2017. Because I understand the value of income reports as a learning tool, I am still sending these reports out to my blogging email list. Get on the email list to receive income reports here. BUT. Note that almost half – actually, exactly half – $1206.56 is on blog education. I didn’t know the first thing about blogging. I didn’t know what a “WordPress” WAS. I had no idea how to write a post and make it make money. There was no way I was moving forward without blog education. There was no way I would ever have earned a penny with this blog if I didn’t invest in the courses and I books I bought. 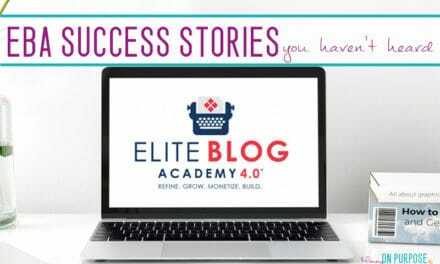 My blog education, specifically Elite Blog Academy, has translated into almost $20,000 in profit for 2016. (Before taxes.) I now work for myself, from my home. I can stay here with my baby and if we have a rough night we sleep in. If I don’t get my work done in the day, I can work in the evening. I LOVE blogging. If I had never stumbled on that little count down timer last February, I don’t actually know what I would be doing now. Probably dreading every passing day of maternity leave… knowing I would have to leave my baby and go back to work in a few months. I was lucky enough to find that little count down timer on just the right day last year. EBA only opens once per year, and If I had waited to buy it this year I would have missed out on $20,000. I have seen clearly that investing in a blog makes the blog more profitable. I had originally thought that since my “blog education” spending would go down significantly in 2017 I would be spending far less on the blog… but I’m only one month in and I have plans to spend more. Things I’ll be looking at spending on in 2017 include an email collection bar that can integrated with my email provider, a stock photo membership, a new laptop, and possibly more theme customization. 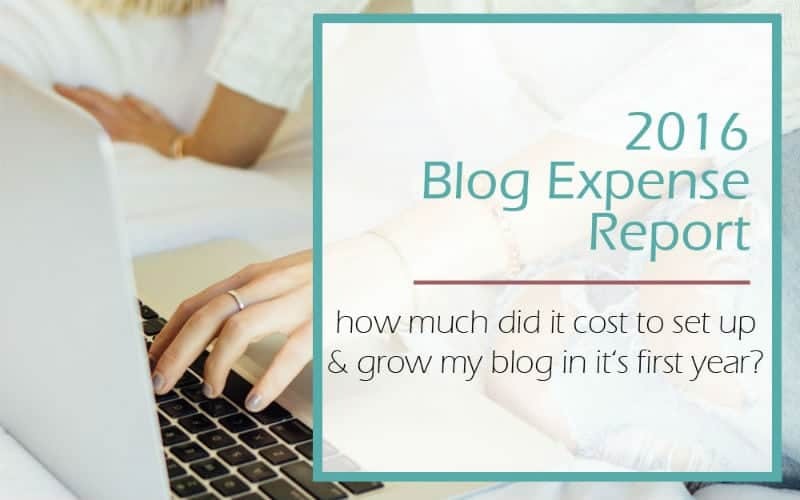 So tell me, did your blog cost you as much as mine cost me in it’s first year running? Or did you manage to create a profitable blog without spending much at all? Do you think blog education is worth it? Thank you for the info one EBA! 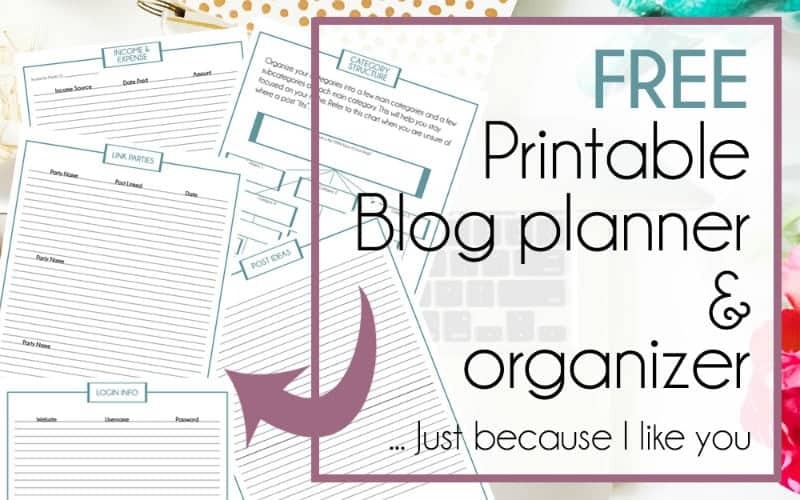 I’m new to the blogging world and while I’m no really looking for it to be a money-maker for me (more so just a new hobby) it’s nice to know there are resources available if I ever decide I want to make money on it! Hi Shannon – EBA is AMAZING! It was worth every penny to me! did you have an idea of what you wanted to blog about before you signed up for EBA? Or did the course help you to pull your idea together? I would love to start a blog to make some money but I don’t have a clue what to blog about, how to start, or if I am able to come up with ideas for posts, etc. The reason I am asking is because I am wondering if I should take EBA’s course before I have an idea or start a plan. HI Wendy! I really didn’t have any clue no… but EBA does help you nail down your purpose! It worked well for me to take EBA before I had a plan, but I don’t know that it has worked that well for other people with no plan. That’s a hard question to answer! Hi Carly, I signed up for your newsletter about two months ago and have not seen any income report. Are you still sharing them to your newsletter group? Thanks! HI Jenn – yes, so weird, I send them every Saturday. Perhaps you could shoot me a quit email to admin@carlyonpurpose.com? Be sure to check your spam on Saturday in case that’s where the newsletters are going? I am thinking of taking the EBA & I am on the waiting list for 2019. My question is I know they have an elite course which covers only the first 4 units for a cheaper price. 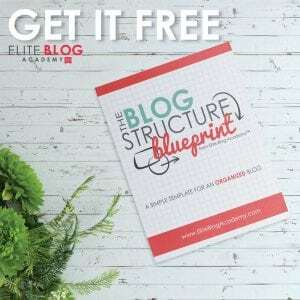 It is recommended for those who are more interested in blogging as a hobby or who want to get their feet wet before they commit to the full course. I am thinking of going this route as I have not started blogging yet. What are your thoughts about whether this is a good idea & can you learn from just the first 4 units enough to be able to tell if the entire course will be of a benefit. I don’t want to purchase a bunch of information about why I should blog including just the basics etc. because that is available other places online but want something that will show me what is involved & the benefits of the course & give me enough information to make a decision. I hope that makes sense. 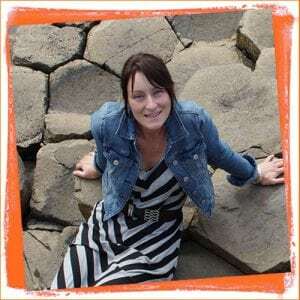 Hi Mary – I would not take this course at all if blogging will just be a hobby. It is really about how to grow a business from your blog.